This is a liquid additive that will eliminate electrolysis and also coat, clean and lubricate the cooling system. 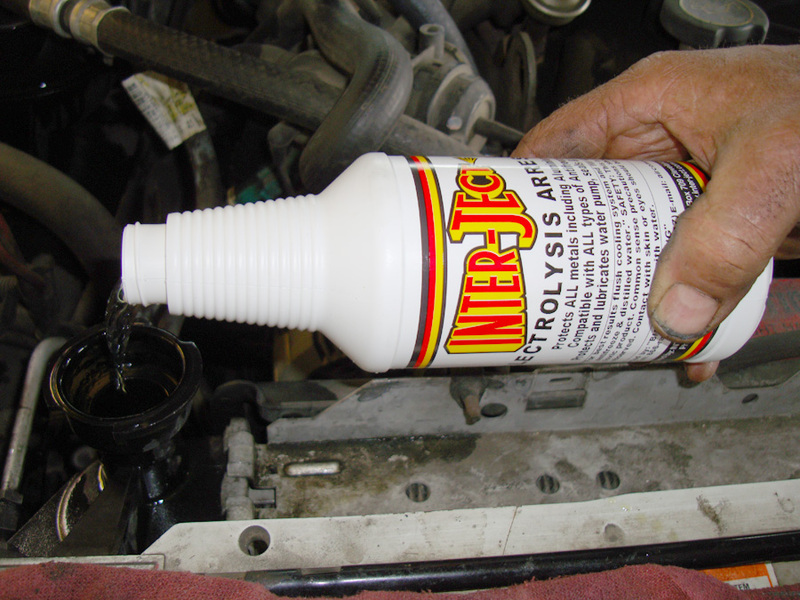 As the coolant gets old it loses it protective and lubricating qualities and tends to get acidic. Because of all the dissimilar metals found in a typical cooling system it can actually create its own electrical energy within the cooling system and acts just like a car’s battery. This additive is an efficient and cost effective way to protect your cooling system. It is recommended to always perform a cooling system flush before adding the Inter-Ject Electrolysis Arrester for optimum results. For best results flush cooling system with Coolant Flusher and fill with new antifreeze and distilled water. Then add entire bottle of Electrolysis Arrester.